As you know, the transition to real food is a journey. It doesn’t happen overnight. There are bumps in the road. It’s a learning process. One bump in my road toward healing? Stevia. I’ll be honest… I previously used stevia with abandon, before I came to the conclusion that stevia does not support health. I added stevia to sweeten my tea and I occasionally I used it in desserts or baking, like my Coconut Flour and Stevia Zucchini Muffins. I found that stevia was very convenient. It dissolves instantly and works well in beverages or liquids. Further, because a little goes a long way, it is less expensive than many other sweeteners. But , for me, the cons outweigh the pros, and so I have quit stevia for good. The frequent release of the stress hormones (adrenaline and cortisol) in response to the stevia-induced hypoglycemia is damaging to our adrenal glands and overall health. These stress hormones are designed to be utilized when we need to be in a flight-or-fight response–not when we are eating a meal. The consequences of excess stress hormones means a suppressed immune system, increased inflammation, and lower thyroid function… just to name a few! Stevia isn’t going to affect everyone’s blood sugar in the same way or to the same degree. I’ve heard from more than one of my colleagues that their clients react with poor blood sugar levels to stevia. Some folks can eat stevia without a blood sugar drop, but some people will experience this blood sugar drop and correlated stress hormone surge. If you want to check, buy a glucose meter and test your blood sugar before and after eating stevia. Plus, if you are eating stevia with another source of sugar or carbohydrate the blood sugar concerns will not be as harmful, since you are providing cells with some glucose in response to the sweet taste. But blood sugar isn’t the only issue I have with this sweetener. The issue of other additives exists because we use processed stevia, not pure stevia leaves. Obviously, if you have a pot of stevia leaves growing in your garden, you can ignore this point. Glycerine: This is often found in liquid stevia extracts. Recently, I switched from my “natural” toothpaste to a homemade version to avoid glycerine. This solvent coats teeth and prevents the remineralizing process. Xylitol: Truvia is a popular sweetener made with stevia and xylitol. Although proponents bestow the title “natural” to this sweetener, I’ve never eaten Truvia because I’m not a fan of this uber-processed ingredient. Read this xylitol article at The Healthy Home Economist for more information. Dextrose: On the SCD/GAPS diet, I can’t eat typical powdered stevia because it often contains dextrose which is usually corn-based. But even if you can eat corn, dextrose most likely contains GMO corn… not good for you or our planet. 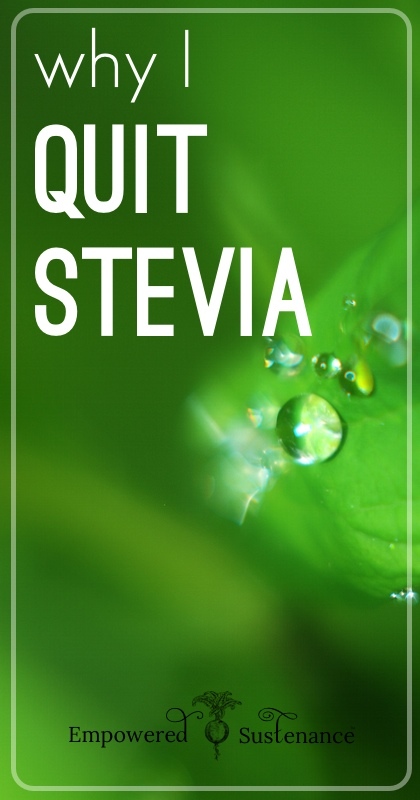 If you eat stevia, you know it has an aftertaste… and you do your best to convince yourself of the contrary. Raw honey (or pure maple syrup or sucanut or coconut sugar) tastes exorbitantly better. Period. 4. I’m not afraid of false Candida myths! Many people favor stevia as a primary sweetener, because they are afraid of feeding Candida overgrowth. Stevia may not feed Candida, but going sugar free to address Candida overgrowth is a big mistake because it can lead to systemic candida overgrowth and severely impaired metabolism. What is so wrong with the popular Candida Diet, a sugar-free diet that uses only stevia as a sweetener? I recently debunked candida myths and offered a safer, healthier alternative to the Candida Diet in my post Busted: Candida Myths. Many people choose stevia over natural sweeteners like fruit and honey, but this is not a good choice. Fruit and raw honey, in particular, are excellently balanced sources of glucose and fructose, providing the liver with building blocks to create glycogen (glucose stores). Stevia, however, does not support glycogen formation. Why is glycogen so important? 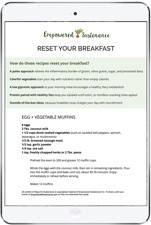 When blood sugar is low, glycogen is broken down and released as glucose in the bloodstream. When the diet lacks sufficient glucose, there will be inadequate glycogen stored. If sugar is not immediately ingested to raise blood sugar levels, the body releases extra adrenaline and cortisol to convert muscle protein and fat into glucose. If this pattern is repeated, the frequent release of these stress hormone takes a toll on the body… and one of the most manifest symptoms of excess cortisol is abdominal weight gain. Additionally, the body cannot convert convert inactive thyroid hormone T4 into active thyroid hormone T3 without adequate glycogen. The resulting hypothyroidism leads to slowed metabolism–and that means a host of symptoms such as weight gain, hair loss and lack of energy. Without adequate dietary sugars, the body cannot create and store glycogen. I love giving my body some fuel in the form of raw, unfiltered honey instead of nutrient-void stevia. I believe that a sugar-free diet is detrimental (and by “sugar free” I mean free of healthy sugars… there is nothing wrong with eliminating white sugar, agave nectar, and corn syrup from the diet!). See my post Sugar: Why Your Body Needs It to learn why natural sources of sugar are important to metabolism and healthy hormones. Since I have an autoimmune disease and hormonal imbalance, I’ve given stevia the boot for good. I stick with my raw honey and whole fruits! How do you feel about stevia? Do you love it, hate it or are you on the fence? This article is woefully unsupported by any scientific or even common sense logic. It’s misinformation that is even damaging to the public collective. People are eating way too much sugar, and honey (which is not designed for the human body), and stevia could virtually cure diabetes; systemic candida, etc etc. I strongly disagree with almost all of your conclusions, and I’m really sorry that people struggling with obesity and diabetes might stumble a crossed this article before giving stevia a go. The facts you tell about are normal in body chemistry. Most people do not know that our pancreas reacts on sweet taste only, not on the amount of sugars we will bring into our stomach. A normal person with a correct liver function should not have too much problems to assimilate stevia, the same counts for other artificial sweeteners. The problem is to have the knowledge of what it does and when it does it. Taking advantage of insulin must be targeted. Insulin is the most horrible substance in our body. It is in some way the express train of nutrition in it. People generally think sugar when we speak insulin, but this is not true. Insulin transports every kind of nutrition, be that carbohydrates it splits to glucose to feed the muscles, be that fat when no sugars are found. It is exactly this way people drinking light stuff with meals get trapped. The fact we taste sweet, make the pancreas throw out a little quantity of insulin in the blood stream, waiting for the sugars to come. Now, in a fast food male, there is much more fat than sugars, and here, the light drink does not provides the quantity of sugar that this insulin is waiting to break down, so it takes the fat and stores it in the liver and in the skin fatty layers. The practice has shown that the light drink and light produce revolution has had an adverse effect of what we expected, people got more fat and obese instead of getting slimmer. The consuming of fat in presence of insulin is deadly to the body, and the less sugar it find, the more fat it takes and stores it. Now, having made 40 yeas of power sports, I know how to take advantage of this situation. During fast sports and aerobic training, we burn the glucose stored in our liver and blood within 20 to 35 minutes. Anyone feels that, since it feels like a cold shower and you find then yourself breathing faster and more intense, the body burning fat to sugar and sugar to energy for the body to work. We run here in hypoglycemic states and in full ketosis, what is dangerous and harmful if you do not drink energy drinks in between. Giving to the body sugar in small amounts, will make insulin enter the bloodstream and then we get the reverse effect. Insulin breaks fat down and brings it to the liver, and the sugar we took in, mainly fast acting carbs, will avoid the state of ketosis for long periods. In fitness, lifting and interrupted workouts, what are non aerobic workouts, this fast consuming of fat to sugar is not given as much, the body recovers between sets, and this fat burning to sugar advantage take place much later, often we need a 2 hour workout to reach that state. That is why, following a workout of an hour, a light, or stevia drink will set free insulin and break down fat, and since we still have some glucose in the bloodstream, we should at that moment go for a half hour full aerobic training, treadmill or dance without interruption. One should in any case watch for dehydration, since sugar binds water in a rate of 1 to 4, that is why we sweat when we burn the sugar. This loss of water can lead to blood stiffness, ear ringing and high blood pressure, even stroke. That is why sugar and salts are necessary to our body, they keep the water inside, and mineral drinks (not gatorade please) made with hydrite or similar products are essential after sports and even during sports activity. The good old boy scouts drink, apple vinegar, water, and honey is here a wonder drink. Add mineral salts to it and you will see what a nice thirst quencher it is, and beside that it cleans you liver and blood vessels. I use stevia myself for weight loss, and when I use it, i drink lots of water to prevent dehydration. note that i use stevia only during dieting cycles, I am on my legs and on the run the whole day, so sports is then not necessary to, lose weight. Now, if your goal is to lose weight in a simple way, just eat an apple every time you feel hungry. Eating less and moving more is the best way to weight loss. Never diet for long periods, a body without nutrition can not work, that is also why some that are seriously obese ask themselves how it is possible, they eat almost nothing. And when they eat, they eat false stuff. There is no real rule, as you said Lauren, our body is very complex system, and we have to find out by ourselves what fits and what does not fits our body. Wow, what great comments on this post! I just want to add that just like not all Stevia is created equally, honey isn’t either. Like Lauren said, RAW honey is a good natural sweetener as it is very nutritious, however, other types of organic pasteurized honey used to make me very hypoglycemic (low blood sugar) after 20 minutes of ingesting it. I can tolerate raw honey, and I have a history of adrenal fatigue. I don’t believe that sugar/carbs from sweets are necessary for your adrenals. Humans before the advent of agriculture were taller, bigger boned and were healthier in many ways. Mostly they ate meat, fat, some nuts, seeds, berries. There really wasn’t any grain. Grains are inflammatory in general. There is PLENTY of carbohydrates for glycogen production from vegetables and of course from fruit. Ancient humans did not consume a lot of sweets. Certainly not daily honey anyway. A good movie to watch is The Perfect Diet (in search of) that shares the DNA isotope evidence for early human diets. I learned from Pam Killeen and Sally Fallon that saturated fat and Vitamin A (from animal products only) are essential for the health of the adrenals. If you eat enough good fats, your blood sugar will be more stable and you won’t likely crave “carbs” as much. I recently did a detox type diet with no grains/carbs except fruits and vegetables. Adrenals were just fine yay! As for Stevia, and other sweetners, I will just muscle test each patient to see what THEIR body needs/wants. Some folks have food intolerances and it can be anything. We can’t use one rule for everyone. I believe it is important to treat each person individually. Dr. K.
I noticed how the comment dates are arranged on your site. Shouldn’t this be arranged in some order? Is this intentional? Whenever a recent post contradicts your claims, another post will show up agreeing with you, but the comment date is old and seems to be a repeat. If you are doing this intentionally, do you mind changing the dates? It looks so obvious. You speak of Stevia as a real evil, but yet I don’t see the facts – only based on your personal observation and symptoms which could also be caused by other things. Those claims you are putting should be supported by facts and diagnosed by a professional doctor not because you read it somewhere. What you read may not always apply to all. not all people are the same. We all have different reactions to certain foods and tolerance. Take for example peanuts. Peanuts are actually good for the body, but some people can’t tolerate it or have allergic reactions to it. But do we all say that we should all avoid peanuts because someone has an adverse reaction to it? Absolutely not, especially for something that also came from a natural source. Some people have bad reactions to honey. But do you even mention this in your post or even ask your readers to test their blood glucose after they consume honey? No you don’t. How surprising is that? I suggest before you preach to your readers the bad effects of consuming Stevia that you also warn them of consuming too much Honey. Your blog doesn’t even explain how much is excessive. I won’t be surprised if someone will come back to your post and blame you for their obesity or who knows what. Stevia will have its drawbacks on some people and so is consuming honey. You are actually misleading people by making it appear that Stevia is bad. People are better off reading webmd site or other credible site. At least, they will just give the pros and cons, and some possible effects for both honey and stevia based on actual facts. Your site is more of condemning stevia and you are not even a licensed doctor. You could be preventing others who has no adverse reactions to stevia from experiencing it’s other health benefits. Their site will at least indicate if their is sufficient studies to support any health claims. For all I know you could be basing on studies that may not be accepted in the medical profession. Not all people are the same and so are foods. Some food may be better than others, but that is no reason to avoid it or condemn it. Everything is about moderation. A lot of thing could cause a reaction. It could be because of the combination of what was consumed or something else. Just because Stevia didn’t agree with you that is no reason to pull everyone to believing it is not good for them either. Your poison may not always apply to all. 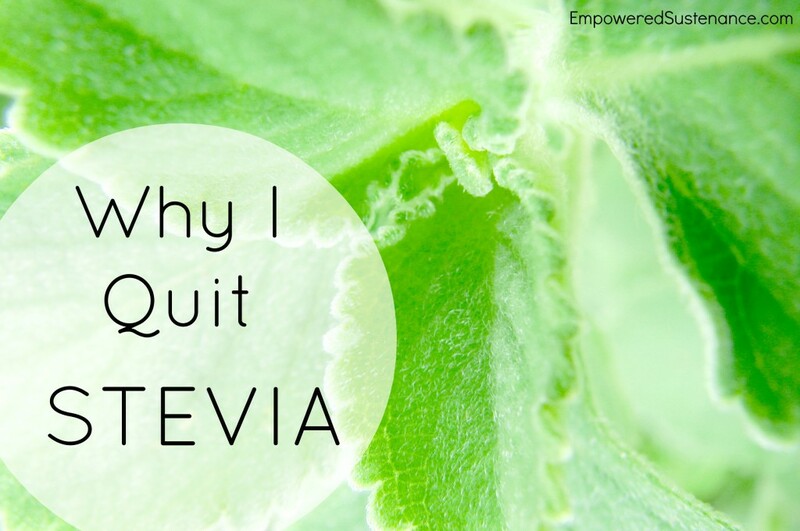 Stevia has been around for so many years. If it is that bad, would you think it will last this long?